Whether it’s exterior remodeling or a minor makeover, making changes to your home should be done to make it more suitable for your tastes and needs. This is especially true when it comes to changing the style of your bathroom shower. How do you know which type of shower will work best for your home? The first thing you need to figure out is whether you have the budget. The amount of money you’re willing to spend will greatly dictate which options will be available to you. For example, a separate shower and separate bathtub will definitely cost more than a combination shower and tub. Having to replace piping or relocate fixtures could also affect the overall cost of the project. Just like with kitchen remodeling, consider the available floor space when picking a shower style. A walk-in shower is good if you have the space to spare, but a corner shower or even a combo shower could be better for more compact bathroom layouts. A lot of people like the concept of having their shower area enclosed in glass walls or doors. Nevertheless, glass panels can add a lot to the overall cost of the project. You can always choose frameless glass panels for your shower, but if you don’t mind a bit of metal, framed glass could be a more budget-friendly option. Last but not least, you can always try shower curtains or go completely doorless if you don’t want to spend too much on the project. Shower features can be heavily customized. You can choose to have high-end brass handles, shower heads with multiple stream features and even advanced electronic controls. Try to keep a balance between the things you want (usually focusing on aesthetics) and things you need (convenient features, accommodations for handicapped inhabitants) and you should avoid the mistake of going too cheap or overspending on your bath remodeling. Get the ideal shower you dream of. 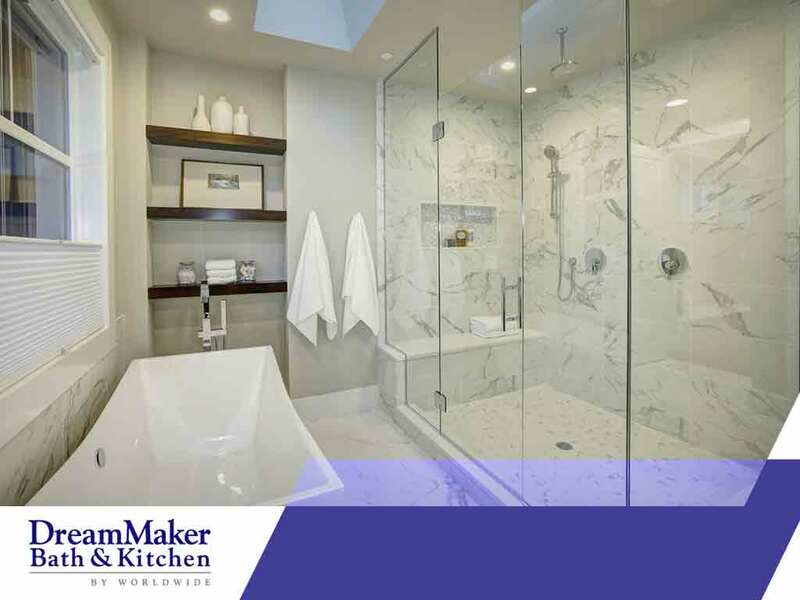 DreamMaker Bath and Kitchen of Greater Grand Rapids is a faith-based remodeling company that pursues excellence through integrity and client-centric customer service. You can call us at (616) 632-2284 or fill out our online form to request a free quote. We serve clients in East Grand Rapids, MI.